Creating the perfect soundtrack to your special day. 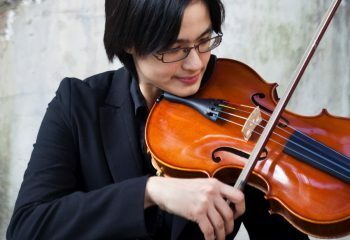 The Encore String Quartet was founded in 2004, and soon became a collective of the best and brightest string musicians in Sydney. We have four permanent members and are complemented by a network of colleagues and friends who are all excellent players to cater to our busy diary of events. We’ve been trusted by Sydney’s most discerning clients for over a decade and our experience and enthusiasm makes an Encore Strings booking the least stressful decision you’ll make in preparing for your special event. Our event music consultant will guide you every step of the way, helping you choose the musical scenery for your event, and creating the perfect soundtrack for your special day. 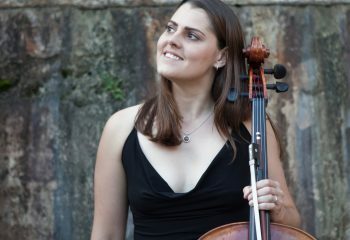 A graduate of the Sydney Conservatorium of Music, Elisabetta has extensive performance experience with many orchestras including the Sydney Youth Orchestra, the Metropolitan Orchestra and Eminence Symphony orchestra, and was Assistant Concertmaster of the World Youth Day Orchestra during Pope Benedict XVI’s visit to Australia. Elisabetta also performs with many musical societies across Sydney and has performed in large productions of West Side Story, Wicked and Evita amongst others. Amanda started learning the violin at the age of four and has performed with various symphony and chamber ensembles. Amanda maintains a deep interest in chamber opera and musical theatre. 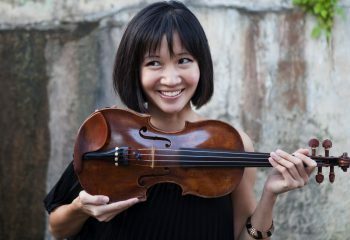 She pursues her passion for music by playing with diverse groups including Willoughby Symphony Orchestra, Woollahra Philharmonic, Chatswood Musical Society, and internationally with the Beijing International Chamber Orchestra. Amanda graduated with a Distinction in her Licentiate of Violin Performance and studied under the guidance of Faina Krel. 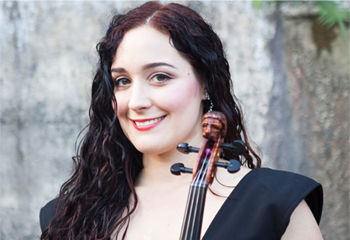 Andrea graduated from the Sydney Conservatorium of Music with a Bachelor of Music in Viola Performance in 2009. Andrea has been performing for over 18 years in orchestras and chamber music ensembles in Australia and internationally. She has participated in Asian Youth Orchestra, Pacific Music Festival and Sydney Sinfonia. She has also participated in chamber music masterclasses with the Grainger and Borodin String Quartets. Her previous teachers include Guan Qi, Jay Liu, Jane Hazelwood, Reiner Schmidt and Jeremy Williams. Naomi is currently principal cellist with Woollahra Philharmonic Orchestra and has played with a number of other orchestras in Sydney and the UK including KozySOC Orchestra and Sydney Independent Opera. Naomi was also part of the Metta String Ensemble led by Kirsten Williams celebrating Tibetan music. She has performed in a diverse range of groups both as soloist and in chamber music. Naomi completed her studies through the Associated Board of the Royal Schools of Music and her previous teachers include Mathisha Panagoda, Marc Bonetti, Melanie Hulme and Susan Thompson.